Influenza is an acute respiratory illness caused by Influenza A or B viruses, which occurs in outbreaks and epidemics worldwide nearly every year, mainly in the winter season. The Influenza virus is remarkable for its high rate of mutating its genes, thereby changing its biochemical characteristics. Another way of putting this is that the Flu virus changes it's "look" pretty much every year. This makes it very hard for our immune systems to fight and the reason that the Flu causes so many problems. As a consequence, new vaccines are produced each year to try and match the best vaccine to produce resistance to the upcoming year's infecting virus. Antigens can be thought of as pieces of the virus or pieces that are similar to the virus for which our immune system recognizes as "foreign." Antigens are what stimulate our immune system into action. Our immune system "remembers" antigens and on the second go-around is better armed to defend. This means either not getting sick or not getting as sick. This is the basic principle of vaccinations. 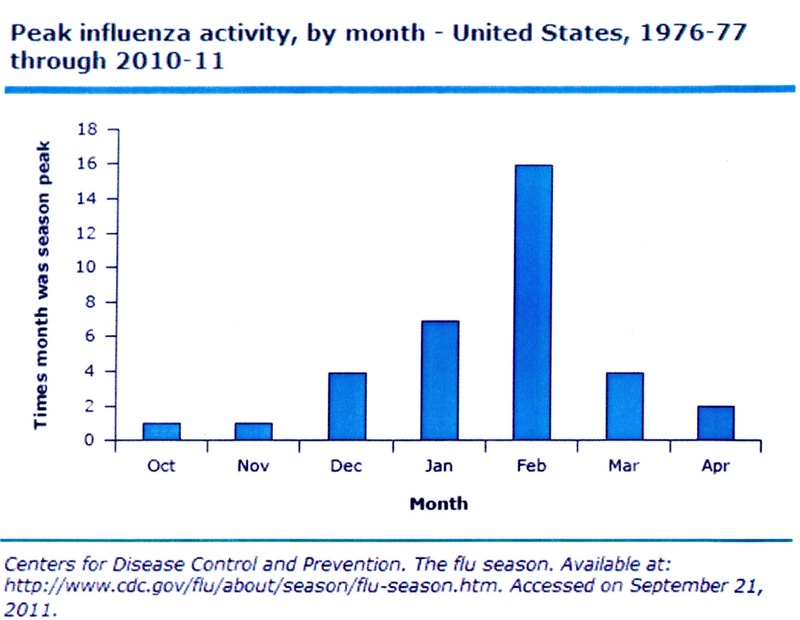 The decision of which influenza antigens to include in a vaccine is made in advance of the Flu season. It is based upon global surveillance of influenza viruses and the emergence and spread of new strains. The U.S. Centers for Disease Control and Prevention in collaboration with the World Health Organization track this and ultimately predict what goes into that year's vaccine. There are two different vaccines licensed for use in the U.S. One is the tr-ivalent inactivated influenza vaccine and the second is the tri-valent live-attenuated vaccine that is given intranasally. The first is the one we typically think of when we hear the term "vaccine." 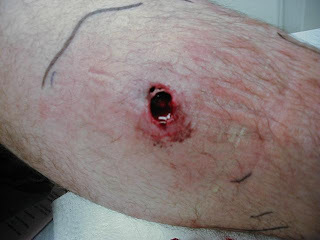 It is an intramuscular shot. The vaccine is inactivated in terms of its components. Specifically, it contains inactivated influenza virus or smaller pieces called subvirion components. These "pieces," or antigens, stimulate our immune system to produce immune proteins called antibodies that lead to destruction of the real virus when the patient is later exposed to it. Also, new for this year is an intradermal form of this vaccine that is given under the skin like diabetics give their insulin. The second is a live influenza virus, but attenuated. This is actually a live influenza virus that has been stripped of it's ability to cause real disease. It will still stimulate your body's immune system to "remember" the real virus if it comes along in the same exact way as the inactivated vaccine. This vaccine is given as a mist inhaled through the nose. Among healthy adult patients the inactivated vaccine produces a substantially reduced probability of Flu A or Flu B infection, a reduction in cumulative days of respiratory illness, and a reduction in work absentees. Among patients that received the live attenuated vaccine there were significant reductions in severe febrile illnesses, febrile upper respiratory tract illnesses, and days of work lost. In our elderly patients the data was a little less convincing looking back at past studies involving residents of long term facilities and those patients living out in the community. However, a recent study in 2012 evaluating patients out in the community revealed that the vaccination was associated with a reduction in the hospitalization for pneumonia, influenza, and death during the influenza season. In children vaccination against the flu produced a significant reduction in the amount of confirmed influenza illness, upper respiratory tract illnesses, and school days missed. In 2010 the CDC's Advisory Committee on Immunization Practices and the American Academy of Pediatrics expanded the recommendation for influenza vaccination to include every individual older than 6 months. --These include children 6 months through 4 years of age. --Patients that are 50 years old and older. --Children with chronic pulmonary conditions, such as asthma, any ongoing long-term cardiovascular, kidney, hematologic or metabolic disorder. --Also, patients that are immunosuppressed, residents of chronic care facilities, native Americans and morbidly obese. --Women who are or will be pregnant during the influenza season. Household contact and out-of-home caregivers and adolescents who are at high risk for severe or complicated influenza. --Children who may transmit influenza to a high-risk household member. --Adult patients with Diabetes, Kidney dysfunction, Chronic Liver disease, Chronic Pulmonary disease, Spinal Cord injury, Neurodevelopmental disorders(Cerebral Palsy, Muscular Dystrophy), Intellectual and Developmental delay. --Patients that are on medications that can cause immunosuppression. There are many questions about who should receive which vaccine. Basically, the inactivated vaccine can be given to everyone with a higher dose form sometimes given to our patients 65 years and older. Starting with infants 6 months or older the inactivated form can safely be given every year for however long the patient wishes to be immunized. The only thing that changes is the amount of the vaccine injected. There are very few situations when this vaccine absolutely should not be given. The first is any type of significant reaction to a previous Flu vaccine, such as shock requiring resuscitation, being place on a ventilator, or admitted to the hospital for these sxs. Another is the development of a disease called Guillain Barre Syndrome within six weeks of a previous flu vaccination. Patients with egg allergies can receive this vaccine. This was once a contraindication, but has been relaxed somewhat. It is now recommended by the American Academy of Pediatrics the CDC, and the Advisory Committe on Immunization Practices that the inactivated vaccine can be given only with a period of observation and the presence of resources and medications to perform emergent resuscitation if shock occurs. Be sure and let your doctor know if you have allergies to eggs before being given any vaccinations, in fact, any medications whatsoever. There are many more limitations on the live attenuated vaccine (Flumist). Again, this is the vaccine that is given inhaled through the nose. The USDA has licensed this vaccine for use in healthy individuals age 2 y/o and older to 50y/o old. --Children with asthma and children 2-4y/o with a history of recurrent wheezing conditions. --Children who are contacts of severely immunocompromised patients. --Immunocompromised patients, including HIV and Chronic Hepatitis. --Patients with certain chronic conditions, such as; Emphysema, Asthma, Congestive Heart Failure, Coronary Artery Disease, Diabetes, Kidney Disease, Hypertension. There are others, but these are the more familiar ones. Patients need to inform their physician of any ongoing illness before receiving any vaccine. Thimerosal is a mercury-containing antibacterial compound used as a preservative in multi-use vials of flu vaccines. It is not present in all the vaccines. Although mercury can be toxic to the human body, the small amount found in some of the inactivated vaccines poses no risk. The risk is both theoretical and unproven. Thimerosal was implicated as a contributing factor in autism and the idea seemed to gain some momentum in the press and some circles. There was never any scientific proof of this nor any relationship between mercury and autism. Immunization with both the inactivated and live vaccines should be withheld with moderate to severe acute illness with fever until symptoms have resolved. However, minor illnesses with or without fever should not prevent vaccination. The live vaccine can be administered with minor acute illnesses with or without fever. Since this vaccination is given intranasally sometimes the Flumist vaccine is withheld if patients have a upper respiratory track infection resulting in significant nasal congestion. You and your doctor can decide. In children the live attenuated vaccine has been shown to provide better immunity than the inactivated form. It was shown to provide immediate protection during an outbreak and may provide better long-term protection. In adults it seems that most of the studies show somewhat the opposite. Studies in adults specifically show that the inactivated vaccine protects about the same or better than the live attenuated vaccine. Also, some patients have a phobia to shots. Annual vaccination is recommended. It should be administered as early as possible during the fall of each year. Ideally as early as October and throughout the fall and early winter until December in the U.S. There are certain situations when two doses should be given. This usually applies to patients first receiving the vaccine and then those patients that have not had two doses of the vaccine after 2010. You and your doctor can help determine how many doses you may need. The most common side effect with the inactivated vaccine is arm soreness at the site of injection. Low grade fever is common and it is also common for patients to have mild fatigue and general muscle soreness for 24-48 hours. The Flumist also causes fever, in addition the intranasal live vaccine has a higher incidence of nasal congestion and a higher incidence and intensity of influenza-like symptoms. These symptoms can occur up to 72 hours after administration. >>Get vaccinated, there is overwhelming evidence that you can keep yourself well, miss fewer workdays and decrease the risk of infecting household member and loved ones. >>Always, always, before being given any medication or vaccination tell your doctor or whoever is giving the vaccine all of your allergies to food, drinks, drugs, or any other substance that has caused a "reaction" in the past. >>Talk to your doctor about which vaccine is better for you, the Inactivated or the Live Flumist. >>Talk to your doctor about any household members or loved ones that you live with that have any chronic disease or illnesses requiring treatment or medicines on a daily basis. >>Of course, considering some of these important things mentioned above we will always recommend getting your Flu vaccination at a Doctor's Office to discuss some of these important issues. >>With all this in mind, we have both versions of the flu vaccine at Hello Wellness, call now it will take no time: 279-249-6362. Stay tuned for more information, thank you. With more than 30,000 species of spiders, spider bites are quite common. 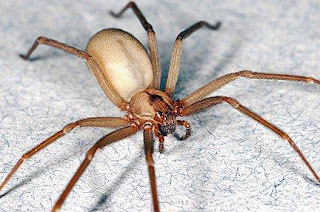 Most spider bites require no medical treatment. Most serious complications resulting from spider bites are a result of bites from widow spiders, recluse spiders, and tarantulas. 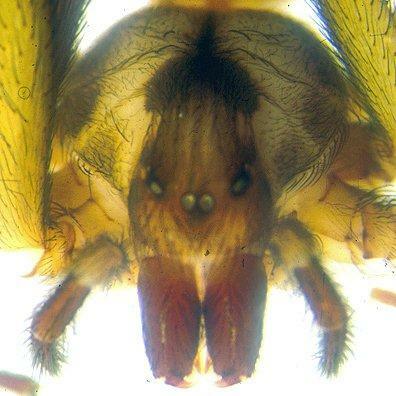 Spiders are not vectors for carrying infectious diseases, such as ticks are for Lyme disease or Rocky Mountain Spotted Fever. They can, however, cause local skin reactions. In some cases when the venom from some spiders is deposited in the skin during a bite it may get into the blood stream and cause some body wide effects(systemic effects). 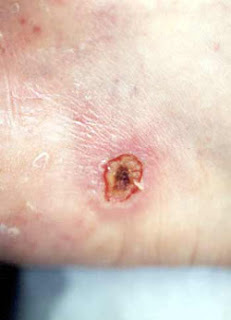 All persons suffering spider bites should be evaluated for tetanus vaccination status. Summer is upon us and with everyone getting out to enjoy summer activities it is important to talk about good skin care and sunscreens. Skin cancer is the most prevalent form of cancer in the United States. Basal and squamous cancers are usually slow growing and associated with long-term sun exposure. 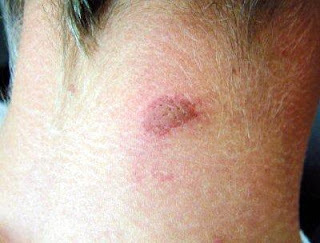 In contrast, melanoma may occur in fair skinned patients with infrequent but blistering sunburns. The use of suncreens has been statistically shown to reduce the risk of squamous skin cancers and likely lowers the incidence rates of the other two skin cancers. It definitely lowers the incidence of sunburn and the discomfort that goes along with it. The sun emits three main ultraviolet (UV) rays-UVA, UVB, and UVC. UVC is absorbed in the ozone layer and has no clinical significance. UVB rays have long been considered "sunburn rays." The National Institutes of Health has determined that both UVA and UVB cause skin cancer. Traditionally, SPF has been used to estimate protection against UVB rays, however there are more chemical sunscreens being produced to protect against UVA rays, referred to as broad-spectrum products. Chronic UVA exposure is thought to play a key role in photoaging. The SPF(sun protection factor) is a number developed to try and rate the amount of protection a product may provide against mainly UVB rays. It is measured by the amount of light that causes redness in skin treated with a sunscreen divided by the amount of light that causes redness in unprotected skin. It is important to point out that SPF is not directly related to the time of solar exposure, but more the amount of solar exposure. This concept will apply differently to different individuals and is dependent on location, cloud cover, amount of reapplication, sweating and swimming. Sunscreens can be divided broadly into physical sunscreens and chemical sunscreens. Physical sunscreens contain large particulate substances which act to refelect and scatter both visible and UV light. Chemical sunscreens absorb UV radiation rather than reflect. 1. Avoiding sun exposure altogether is the best preventative measure to reduce risk of sunburn and skin cancer; if you have to be out there, then avoid hours between 10am-4pm as UV rays are at there peak during these hours. 2. Wear wide brimmed hats, sunglasses, long sleeves, and pants. Also loose fitting lighter colored clothing is a good idea. Some manufaturers have begun producing sun protective clothing with a minimum SPF. 3. Apply a Broad-Spectrum(protects against UVA an UVB rays) sunscreen 30 minutes before sun exposure to exposed skin. It should be waterproof and sweatproof and applied liberally and massaged well into the skin. If sweating or swimming it should be reapplied at the longest every 2 hours. Use an SPF of at least 30. Beware of diminishing returns with increasing SPF values. For example, 92% of UVB rays are blocked with a SPF of 15, while only 97% of UVB rays are blocked with a SPF of 30. Balance cost when purchasing. If using sprays, then spray liberally and it would not hurt to rub them in. 4. Sunscreens do have a shelf life. Most chemical sunscreens have an expiration date and it is recommended to throw them away when it has passed the expiration date listed on the bottle. 5. In general sunscreens are not typically used in infants younger than 6 months of age because the safety has not been tested in this age group. However, if hats and shade, etc. are not available use a minimal amount of SPF 15 or higher to small areas in young infants. 6. Take care of the kids; typically kids are at higher risk for sunburn mainly because they are just unaware of the risks and consequences of sunburn. 7. While sunburn is an avoidable consequence to being outdoors, sometimes we can't help it. There is little that can be done to reverse the effects and damage of a sunburn, but there are things to relieve pain and the inflammation associated with sunburn. If the sunburn is severe and blistering it may be worthwhile to make an appointment with your doctor. You can obviously call us at 479-249-6362. 8. 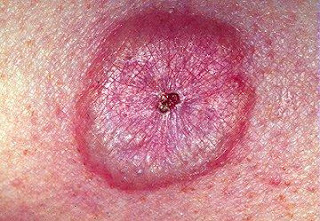 Have skin lesions or moles looked at by a doctor that seem to "change" in appearance. 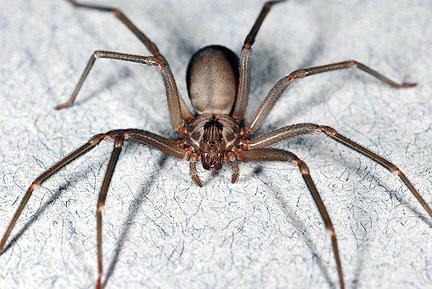 Whether they get larger, get darker, spread, bleed, or form an ulcer these probably need to be evalauated. Furthermore, skin lesions that seem to "not heal" need to be evaluated. Hope this helps! Stay tuned, we will be providing more valuable information in the coming weeks!